Sarai Speer has made a name for herself as the Platinum Giraffe, with more than 37k Instagram followers, a dedicated clientele grateful to have found someone who can create the perfect blonde they’d always been seeking and coast to coast coverage on all the major news channels and glossy magazines. Ironically, though, her headline-grabbing activities are not for her color, but for the innovative cutting technique she’s called the “Whoville Christmas Tree”. She’s even been on the Today Show, demonstrating how she can quickly reduce bulk and create interior layering and movement by running her shears down twists of hair. Scary AF, says Sarai, but the results are rad. Yet color, blondes in particular, is definitely Sarai’s beat. Her constant companion when she’s hard at work behind the chair or traveling to educate for her favorite brands is not a giraffe, but instead Pudgy the Ping, her automated mixer from ECOHEADS. Pudgy helps cut down Sarai’s time mixing color, but she’s used that extra time to do even more clients. This is a woman who works in super-drive all the time. She dragged herself up from the bottom by throwing herself into her craft, often working as many as 100 hours a week. 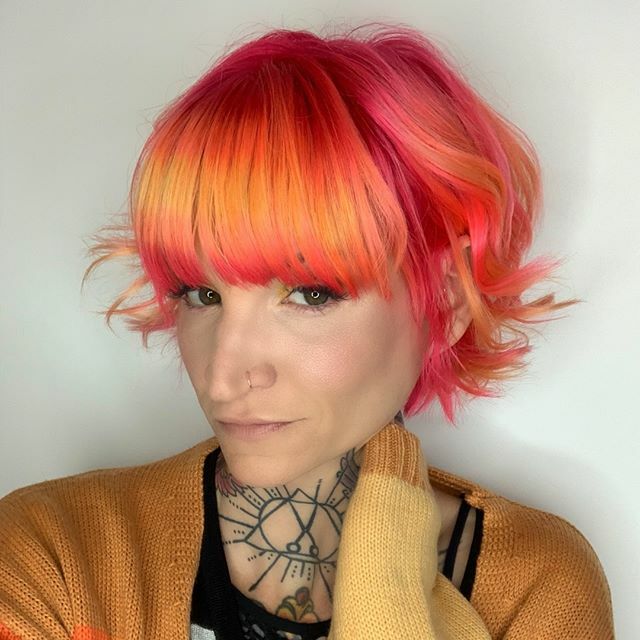 She also embraced the hairdressing community online, setting up a profile on Instagram and sharing her determination to get herself sober and her career back on track. It gave her the perfect vehicle to showcase her amazing blonde work, and to add in some gorgeous vivids and amazing color. Soon others were coming to her for advice and inspiration, and to give her their support as she rebuilt her life. Sarai now works out of With Love Salon in Kansas City, a salon where love and caring are more than just catch-words. Every month, the team raises money and awareness for good causes. 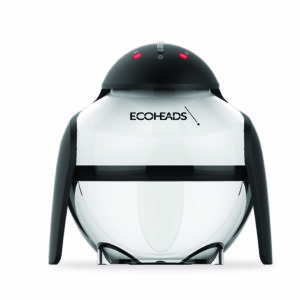 And of course, it values protecting the planet, so has ECOHEADS showerheads on every basin.